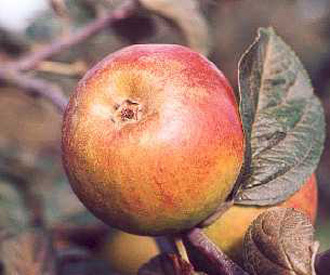 Blenheim Orange is a cultivar of apple. It was first found on the Blenheim Palace estate, at Woodstock near Oxford in in about 1740. This apple has a greenish-yellow to orange skin streaked with red. It has a distinctive nutty flavour and is excellent for cooking. Blenheim Orange does not hold its shape, rather, it produces a fine puree as it cooks. This Product has been nominated by Graysons Restaurants, who are key sponsors of the Ark of Taste within the UK.